Choose Edit menu (top left corner) > Preferences. Choose General from the left side of the Preferences window. Select Decimal or Minutes from the Time Format section. Decimal: QuickBooks Desktop automatically interprets time entries as decimal fractions; i.e. 7 hours and 30 minutes is represented as 7.5. 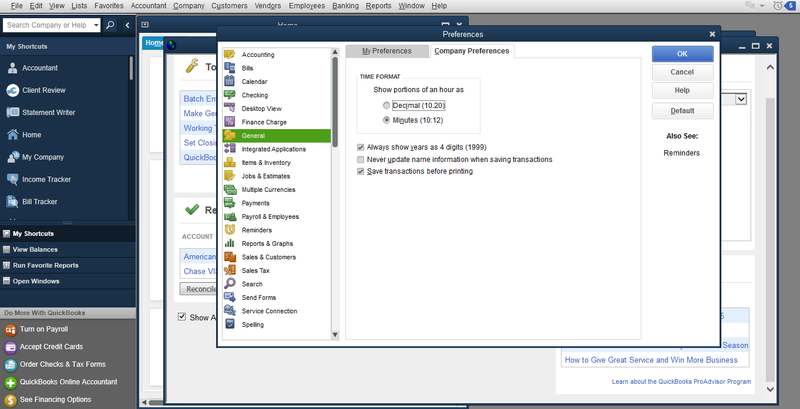 Minutes: QuickBooks Desktop automatically interprets time entries as hours and minutes; i.e. 7 hours and 30 minutes is represented as 7:30. Tap the Start button, enter date and time in the search box, and click Date and Time. Select Change date and time in the Date and Time window. Tap Change calendar settings to continue. In the Customize Format window, choose new date format. On your keyboard, press Windows key + E to open the Computer window. Go to Settings > PC settings > Time and language. In the Date and time section, click on Change date and time formats. Open the Control Panel (icons view), and click on the Regional and Language Options icon, then close the Control Panel. Under the Formats tab, select the format regional language that you want to use. 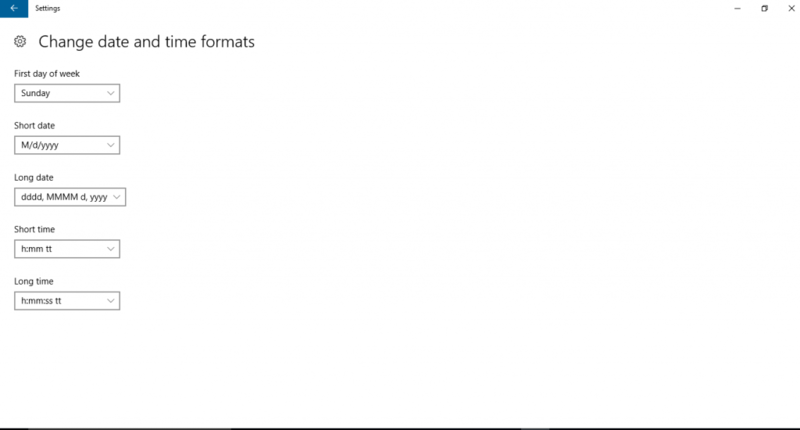 Change the date formats to how you want them displayed, and click on the Apply button. NOTE: This will be for how the Short date, Long date, and First day of the week will be displayed as. Click on the Additional Settings button. NOTE: This will allow you to further customize the date format. Click on the Date tab, and change the date formats to how you want them displayed. Click on OK again to finish.